wow= I really love it!! what a great take of our color combo!! Amazing - thanks for the link too. Great to see you over at CCC this week. 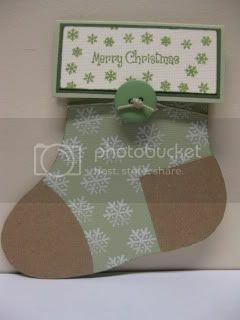 A superb gift card holder Lori, I love the stocking shape. Thanks for joining us at CCC. What a great idea for a gift holder! Your gift card holder is absolutely adorable! I love the way you used the SPCC colors. This gift crad holder is soooo cute! Great job with the SPCC colors! Thanks for joining us! This is so cute and ingenious! Thanks for playing along with us! 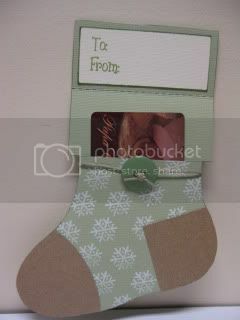 What a cute idea - I'll have to give this one a try for the holiday. Thanks for playing! This is so cute...I am definitely borrowing the idea! This is a great idea ,very cute. congratulations for your top 5!!! !